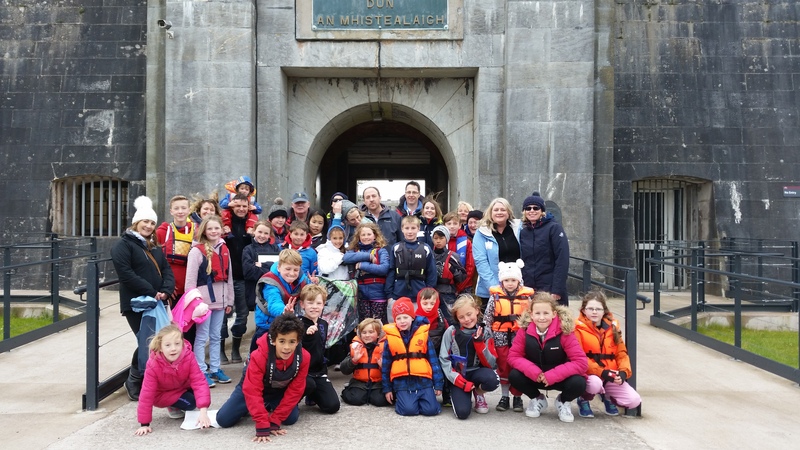 The Royal Cork’s 2017 Try Sailing programme kicked off in style on Saturday 29 April. This phase will run for 5 weeks each Saturday morning at 1030, and the first day saw 70 participants sign up to “have a go”. 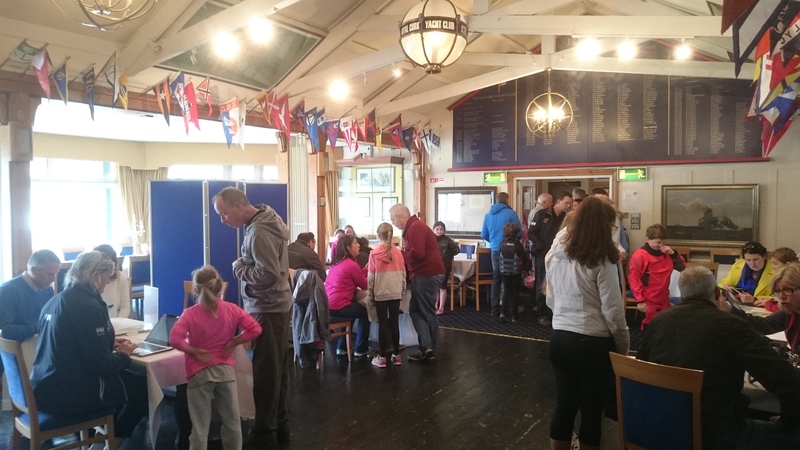 It was great to see such interest among new sailors to the Optimist and Mixed Dinghy classes. This year, a 1720 is also available so parents don’t feel left out! The forecast was ominous, however with lots of south in the breeze the river was very sheltered and provided great sailing conditions for the participants. 47 younger children, ranging from 6 upwards, got the opportunity to sit into optimists with some of our most experienced sailors. They each had the chance to take the helm, the mainsheet or just enjoy the experience. 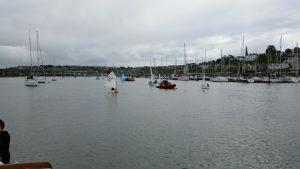 15 participants did the same across the mixed dinghy fleet, using a mix of the club boats and others – with Picos, Omegas and Topaz available to try. The parents did suffer some weather restrictions – while the river was light, the harbour was very breezy and a little too much for a Try Sailing day out on the 1720. Instead, they were shown around the boat and given a taste of where all the equipment is and what it is used for. Meanwhile, the rest of the parents enjoyed teas and coffees in the clubhouse, from where they were able to watch proceedings. 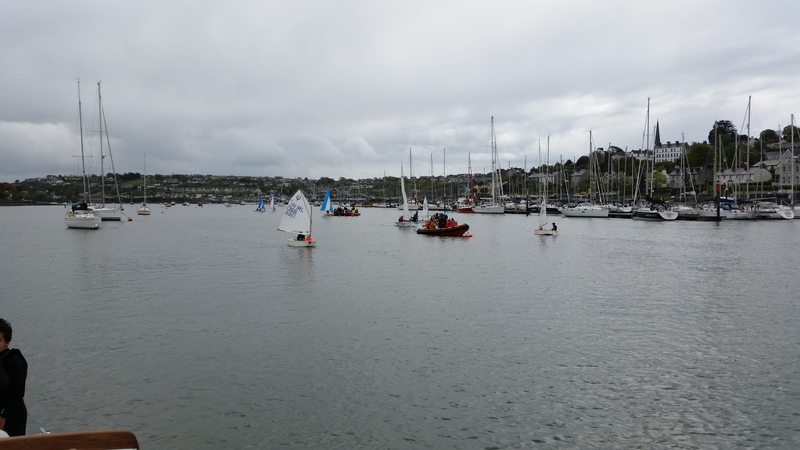 A big thank you to all those who helped out – lead by class captains Ian Venner (Optimists) and Brian Jones (Mixed Dinghies), as well as Gemma Spillane, Junior Organiser and Colin Morehead, Try Sailing co-ordinator. A special word of thanks to those who provided boats, ribs and sailors! We’ll see you all again next week. Some of our 70 sailors in a range of dinghies. Credit Ian Venner. Later that day, a flotilla of 37 junior sailors and their parents headed for Spike Island on the now-annual Harbour Tour. 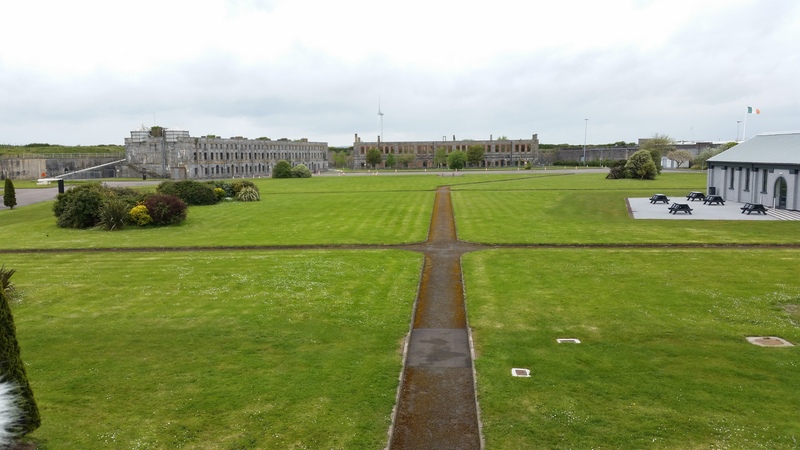 There, they got to visit the amazing fortifications, military museum, gun shed and much more, as well as stopping for a well-deserved break in the superb Cafe (and thanks to Dan Lynch of Lynch’s Centra, Cobh for feeding everyone!). 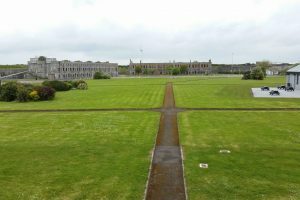 Fortress Spike Island is well worth a visit by all of our members, as it is an amazing part of our maritime heritage here in Cork Harbour. Thanks to Vice Admiral Pat Farnan too for making some introductions to ensure it all ran smoothly. The sailors and parents about to head into Fort Mitchell on Spike Island. Credit Ian Venner. 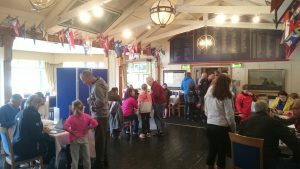 One final reminder – our Boat Jumble is on next Saturday 6th May at 1000 sharp, and will be followed by the beginning of the Dinghy Saturday League racing calendar in the afternoon.